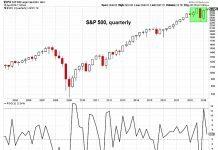 Reversal happened on cue- Stocks likely begin 3-5 day pullback. Maximum weakness down to 2785-2800 in all likelihood. The S&P 500 rolled over yesterday to a multi-day low close. 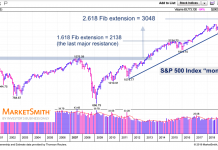 While trendlines have not yet been broken, and some might question turning bearish ahead of this development, the combination of Sectors stalling out near key levels while counter-trend sells are present on the heels of the recent stallout in breadth and momentum makes sense to adopt a defensive posture for at least a near-term pullback. It’s thought that weakness likely does not undercut 2785, so pullbacks over the next week should represent buying opportunities. Simply stated, Tuesday’s price action was exactly what needed to happen to have some confidence of markets peaking out in the short run. We saw many stock market indices close down at the lowest level in four days after having recorded upside exhaustion. As well, market breadth confirmed selling with 3/1 bearish breadth and even heavier volume into Down v Up stocks. 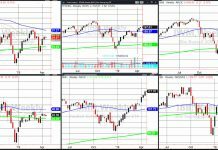 The Russell 2000 (IWM) also broke its uptrend, and 3 key sectors stalled out near prior highs: Technology, Industrials and Consumer Discretionary before turning down to make new multi-day lows. 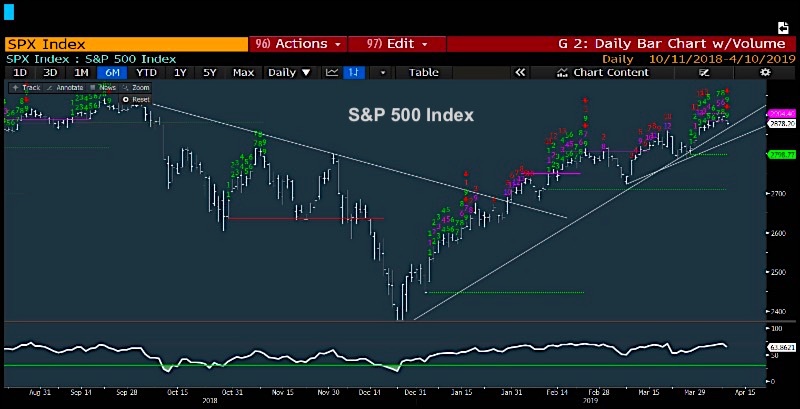 Given that these last three groups are this current year’s Leading sectors in terms of performance, we look to finally be at a spot where at least near-term weakness can occur and a short-term pullback could be underway. It’s right to be defensive over the next 3-5 days, adopting hedging techniques and/or holding off on buying dips right away. Outside of Equities the larger move of interest happened in Gold (GLD). We saw Gold turn back higher to multi-day highs after what looks to have been a successful retest of March lows. Given the Dollar starting to top out, it looks likely that Gold turns higher, as US 10-Year Treasury yields remain under pressure. Overall, between now and end of week, it looks right to be Short Stocks, long bonds, long Gold, long Natural Gas. Charts below will help to add some perspective.